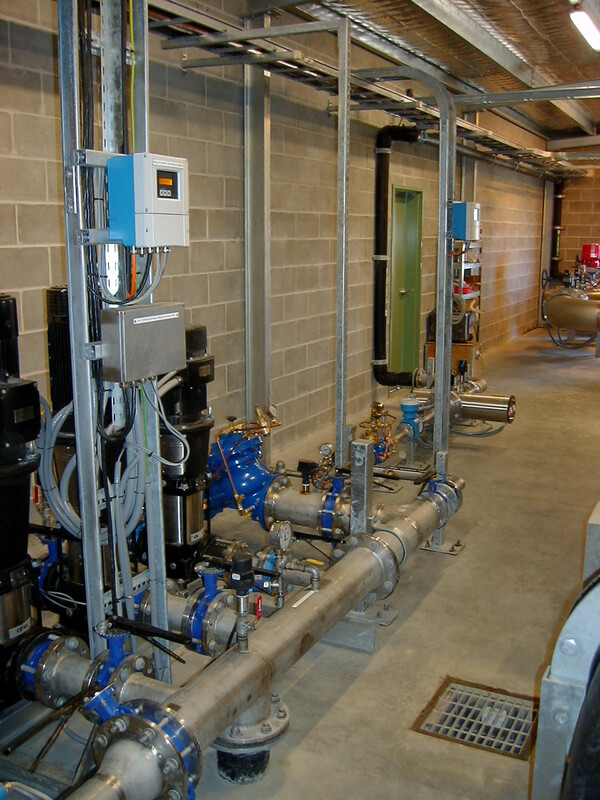 TWS has a proven track record in innovative construction projects, best showcased in our recent Design & Construction (GC21) of the Goulburn Mulwaree Council Effluent Reuse system, feeding on-demand to town sport fields, race track, agriculture irrigation, and industry. 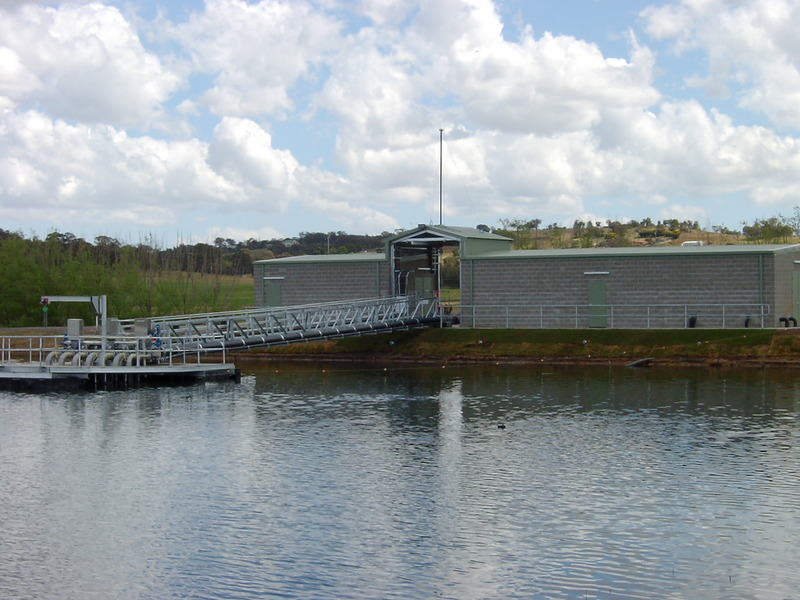 The 24m long floating pontoon allows varying secondary sewerage water levels to be pumped at rates from 1 up to 400 litres / second via submersible pumping units (8 to 75kW) at 105metre head capacity. 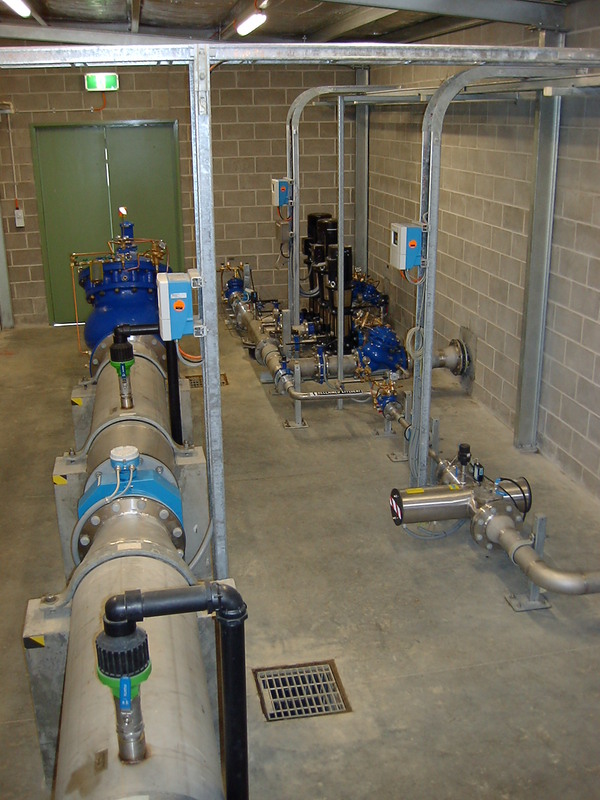 The pressurised system feeds through 2x200kW Ultraviolet Filtration Units, into 10km of 450mmclMPVC and 450mmHDPE Rising Mainlines, and the system controls external Telemetry and remote monitoring systems in association with Sydney Catchment Authority, and Goulburn Mulwaree Council.